Located less than a half-mile from the South Carolina Aquarium, the Charleston Place Hotel offers luxurious accommodations in the heart of the city. This hotel features a state-of-the-art health club that has a retracting glass roof and heated saltwater mineral pool. A hot tub and children's splash pool is also available. There is also an award-winning spa that offers a wide variety of treatments. The hotel has a business center and a variety of high-end shops on the first floor. There are three high-end restaurants to choose from as well. The hotel is located less than a half-mile from the Gibbes Museum of Art and just over a half-mile from the Charleston Museum. 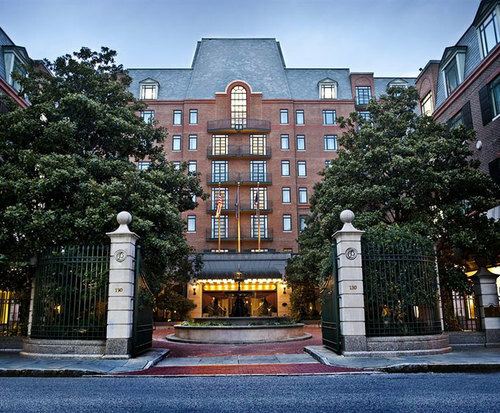 Charleston Place is a true resort hotel. The state of the art retractable glass roof opens to allow outdoor sunbathing in a comfort controlled indoor environment. Relax in the luxurious salt water horizon edge pool set among lush tropical plants, or soak your aching muscles in the hot tub while the kids play in their very own kiddie pool. If the hot tub is not quite enough to work out the kinks, head over to the top rated spa for a day of pampering and luxury. 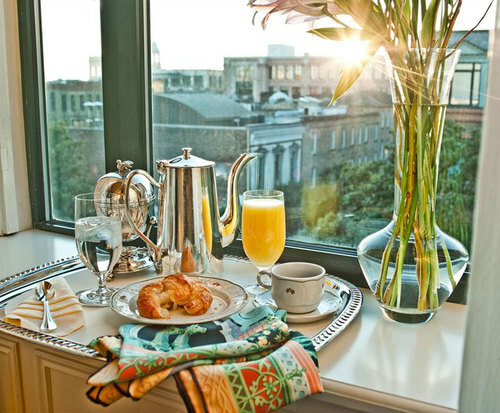 Wake up to a leisurely morning with cable television and complimentary high speed internet while enjoying coffee in your room from the provided coffeemaker, or call up room service for a full breakfast. Microwaves, refrigerators and sofa beds are also available in some rooms. In addition to the on-site restaurants, there are many dining options nearby including Hyman's Seafood Co., the Peninsula Grill and Bubba Gump Shrimp Co., all within just a few hundred feet of the resort. Enjoy shopping less than one quarter mile away at the Shops At Charleston Place or travel 4.5 miles to the Ashley Landing Shopping Center. Great pool. Rooms a little worn out but excellent service made up for it. Had early special girls dinner at charleston grill with my 4 and 5 year old and the manager and staff were wonderful. Manager took the girls over to the godiva shop and bought them a chocolate for a treat! It was thoughtful and they loved it. Service overall was great throughout our stay.